It’s hard to believe that the school year will be coming to a close next month. It’s time to start vacation planning if you haven’t already! We normally go away at least once a year. We haven’t decided yet what to do this year. There’s a few ideas we are considering. We are just waiting on word for John’s summer leave and then can start finalizing the details. One idea that I have been tossing around in my head for the last month has been a vacation rental property. I was recently introduced to the new Canadian travel site, Wantizen that features vacation rental properties! I hadn’t really even considered vacation rental properties before. I think part of the reason was that I never knew where to even start! With a site like Wanitzen, I have access to over 30,000 properties around the world and the number grows by the day. I’m definitely considering one. We’ve only stayed in hotels so it will be a completely new experience for us. Wanitizen is completely free to use and helps you find the best deals possible. It’s actually quite simple to use. Let me take you through the process. 1. Pick your wants. Enter the location where you want to visit, dates, how many bedrooms, guests, and your budget. There’s also a list of amenities you can check off with items that are important for you like free Internet, Air Conditioning, Onsite Laundry, etc. I did a search for properties in Florida (though you can get specific and search by city if you like). 2. View your matches. Then you will see a list of properties that fit your criteria. For instance, I found 11 properties that fit mine. I can see the location, price per week and a description of the property. It also shows me the amenities and how many guests it accommodates, number of bedrooms and bed type. If you find the perfect vacation spot, you can click Book Now to secure your reservation immediately. 3. Offer Me a Deal. 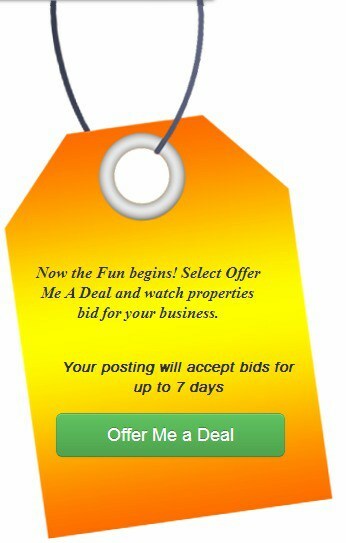 Alternatively, you can click on Offer Me a Deal and the property owners will actually bid for your business! Wantizen will reach out to the propety owners to see if they want to better their rate. They’ll offer you their best price and when you find one you like, just click on Select Bid to get the ball rolling. You’ll then receive an email with the property owners contact info to set it all up. There is never an obligation to buy and the property owners won’t have your contact info until you reach out to them first. 4. Contact & Confirm. When you find the perfect deal, it’s important to get in touch with the property owner right away to secure your spot. You wouldn’t want to miss out on your dream vacation rental. 5. Relax and Get Ready for Your Vacation. Share with your friends the great deal you found on Wantizen! Besides having access to a huge selection of vacation properties, I think my favourite thing about Wantizen is the fact that they act as a third party negotiating the best possible deal for you. Many people (including myself) are uncomfortable haggling and I wouldn’t like to have to contact the property owner myself and try to get them to give me a better rate. Wantizen does all that work for you! Like I mentioned before, this is a FREE service provided by Wantizen. There’s never an obligation to purchase. They are simply put, a vacation rental matchmaker with the goal of helping your dream vacation rental property at the best possible price! Right now, when you register Wantizen, you will be entered to win $500 off your first rental. What have you got to lose? It’s free right so sign up today to be entered to win! If you love to travel, I encourage you to connect with Wantizen on Facebook. that water is so impossibly blue! I love this idea! It looks like such an easy site to navigate too – always a bonus! I have gotten the vacation bug in the past few years – so this is completely something I need! That’s really cool that you can search on the different features you want. I’d love a vacation. This looks like something that I could really use compared to Priceline for a longer vacation. the rentals that show in the picture look like they are to die for! !the water is sooooo beautiful!!! What a wonderful way to find a vacation spot that you really want to visit, but have never been before. My son wants to take an “exotic” vacation on a budget and I think this would be most helpful! Thanks for the lead! My husband and I try t sty exclusively at vacation rentals when we travel for many reasons, including more space, cooking facilities and same or better price than a simple hotel room. Next time we go, we’ll give Wantizen a shot. Love this idea and how the site lets you choose options like pet friendly. My husband did a rental property when we went to Orlando once. We were meeting my son and his family. It was great! We had our own pool and we were all in one house but each had our own rooms. Plus, since it was a house, we had a full kitchen and plenty of room. Definitely worth trying! What a great idea! I am really in awe of the gorgeous photo – a girl can dream! Now that place is where we want to go for our honeymoon or wedding, but its hard to do this place with young kids. Great idea , we will have to check out this Wanitizen!!! What a great site for travelling! I’m going to send it to my eldest daughter who will be travelling soon! We have been trying to get a family vacation on the go for awhile now and this looks like something to look at. Such a great idea. 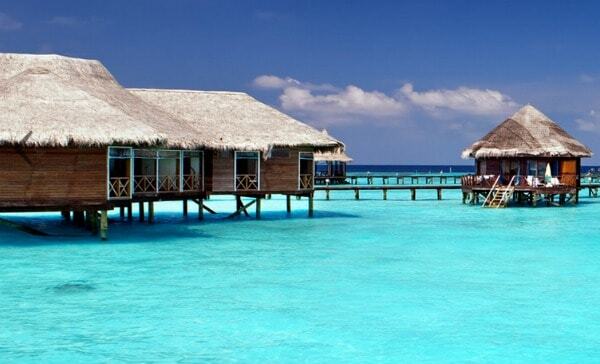 I have the vacation bug too and that water, oh my how I would love to be there! Hmmm – seems like a good idea. I won’t use it for my family (as we only camp), but my parents are inveterate vacation condo dwellers in Florida each winter and are always looking for new sources for their Rentals. Thanks for the tip. I’ll send my mom the link to check out. I don’t get to travel as I have a fear of flying for one and I can never afford to go. But I would recommend this site to my friends. Thanks for the interesting review. Very cool! I’ve been wanting to go to Canada this summer and this site is definitely something I will be checking out! Sounds a lot like FlipKey…thanks for the information…I’m going to check it out! We have never tried a rental property, but I can see the advantages to it. A site like this Wamtizen should make it much easier. Just might be using this soon. Search options are great and there are a couple of properties that fit for us this autumn. This sounds like what I’ve been looking for. We want to go to the beach. Somewhere on the east coast I’m going to use this! I’ve been writing posts about vacation spots but never saw this! So thank you! Thanks, will check it out. Love the picture, makes you want to pack and go there! I have been researching vacation properties and this post is timely! Pretty amazing that its a free service. I guess its a partnership with the owners or the owners pay to advertise – any way you look at it though its very cool. I think winter Texans or Winter Floridians would really appreciate it. If i had the option of vacationing i would so do it! wow somehow i keep accidentally rolling over that tide ad at the bottom. darn it. lol. BTW – I commented earlier that I would send this post to my mom who is a FRBO freak and she was impressed and said she would check out Wantizen as an alternative. Neat. What an interesting idea. Thanks for sharing. I have bookmarked this site for future use. This site looks great. I only wish they listed vacation rentals in the Caribbean Islands. Hopefully in the future they will. What a great idea… I looked at Maui but couldnt find anything there yet. Vacation rental property sounds very interesting to me. This sounds like an interesting idea. I’ll have to check into it. What a great idea! I love it! I’m going to check it out, I’m thinking about going to Florida this winter for a month, so this is exciting! Thanks for the info! I have to keep this in mind for next vacay. It won’t be until fall 2015 – so I’m saving up now! Any place near the water is my desired vacation spot. Really good idea with a family trip! Thanks for the information on this new travel site! I had never heard of it until I read this post, will surely use it when planning our next vacation. Well, I’m not Canadian but this looks like a great resource and it’s a plus that it’s free to use. This is interesting, as this is a service that takes what could be a complicated, intimidating process, and breaks it down for the average traveler. Thanks for an interesting post! This looks like a great way to find places to travel – I can’t wait to check it out! If we could ever afford to go on vacation I would rent a property too. It would be so much more peaceful and homey than a hotel. Great Idea…I am going to look into this. Awesome, I have used VRBO in the past, but it is always good to have options! Interesting idea as to accommodations, I’m pretty open to where I stay as long as it is comfortable. Definitely something & tips to keep in mind for future travel. Those pics make me ready to hit the beach TODAY! I’ll have to check out Wantizen the next time I’m planning a vacation.